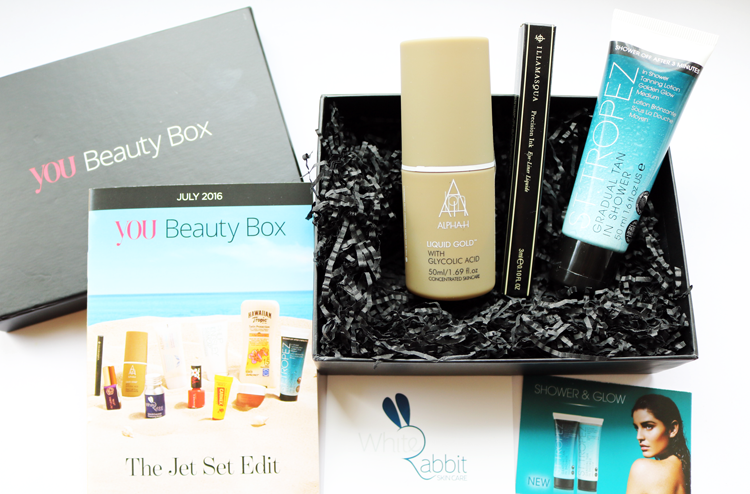 July's You Beauty Box has arrived and this month sees some exciting membership changes and an interesting shortlist themed around the 'Jet Set Edit' with lots of products suitable for summer holidays and travelling. If you're new to You Beauty Box or haven't seen any of the updates, here's a brief rundown so you know what's going on. Existing subscribers were emailed about two weeks ago before this month's payment was taken, and everyone was informed that they can now upgrade their membership if they want to. All members are automatically on the 'Bronze' membership which remains the same as it's always been - same price of £6.95 each month and you get to choose two products from the menu. You can now upgrade to 'Silver', priced at £8.95 each month with the choice of three products or go large and go to 'Gold', priced at £10.95 each month with the choice of four products. Cancellation options remain the same for everyone and postage is still free. I think this is a great idea as I've often struggled to pick just two products and always wanted the option of getting an extra one, so now you can! This bad boy predictably sold out in lightning speed, but I managed to grab one before they all went. I have wanted to try Liquid Gold for such a long time so I'm very happy to have snapped one up for such an amazing bargain price in this box! This is a glycolic acid treatment which helps to revitalise and resurface the texture of your face. Very popular with lots of skincare gurus and bloggers so I hope it works for me too! I haven't heard much about this eye liner before, however I decided to take a chance on it because everything else I've tried from Illamasqua has been great and this is the perfect way to try it as it's quite pricey. It's in the shade Abyss which is a glossy black and it promises to be waterproof and long lasting. If you've tried this before, let me know! The extras provided by YBD this month are a 50ml travel size of the new St. Tropez In Shower Tanning Lotion in Golden Glow Medium (I've tried the regular version of this and wasn't massively impressed so I'm hoping this darker shade is better), a £2 off coupon for the same full-size St. Tropez product, and a £10 White Rabbit Skincare gift voucher with no minimum spend (always wanted to try something by them as I know a lot of green beauty bloggers love them!). 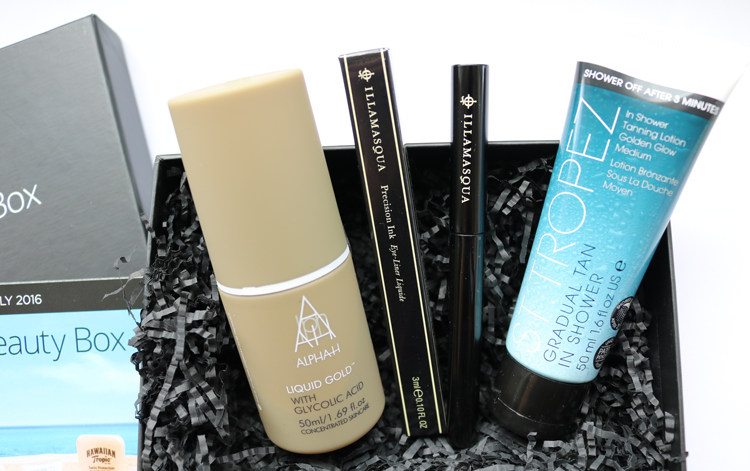 You Beauty Box is priced from £6.95 per month incl p&p - more info click here. Which products did you choose? Did you upgrade?